Made from specially treated glass - fibre material to BS EN 1869. The fire blanket is fitted with two pull-tapes for fast release and positioning to extinguish the fire quickly and safely. 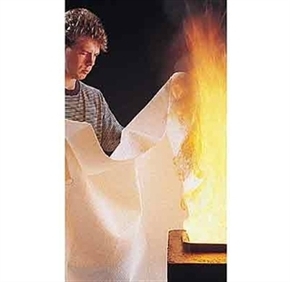 Packed in a slim, easy clean, plastic container that is simple to fix to the wall, the fire blanket is recommended for smothering cooking fires and other contained fires in their early stages.